This Magic Festival takes place thanks to our friend Baby Dahan. 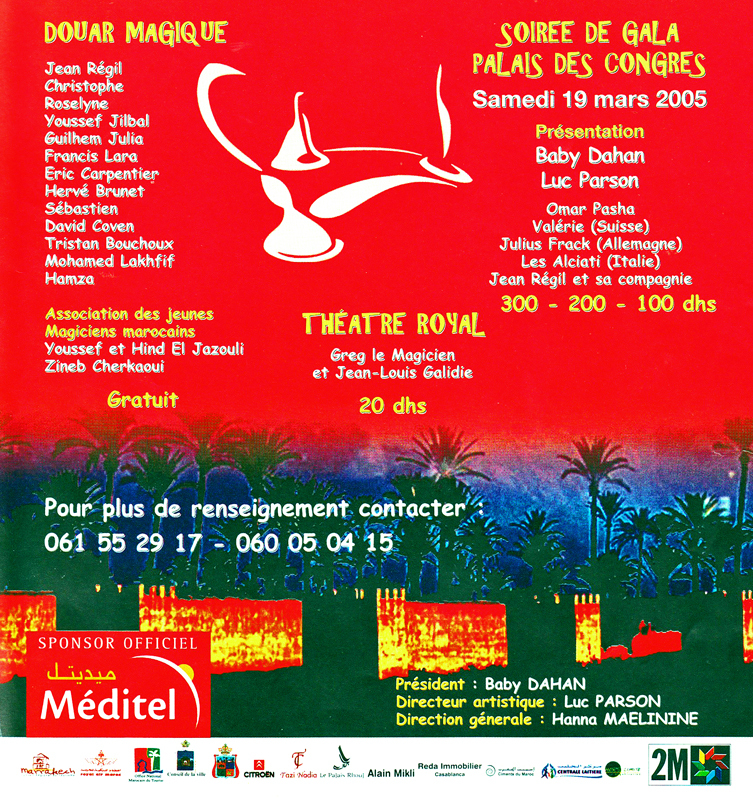 Magic events are held in different areas of the city: the “Douar magique” (magic village) is made up of numerous tents where the visitors can see many different magicians and magical effects, the “Royal Circus” presents shows for children, the “Congress Palace” hosts the International Magic shows. 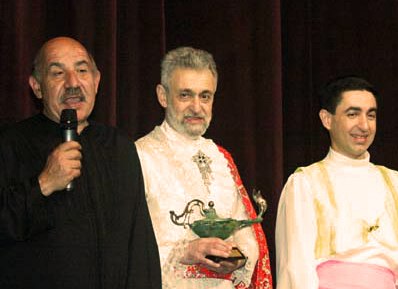 After our performances in the International Magic shows, we are nicely surprised and honored to receive the “Aladin Lamp” award from the hands of Baby Dahan. This distinction has a particular relation to our work: the Aladin lamp is part of the oriental legend and tradition, from the tales of a wide cultural and artistic civilization. 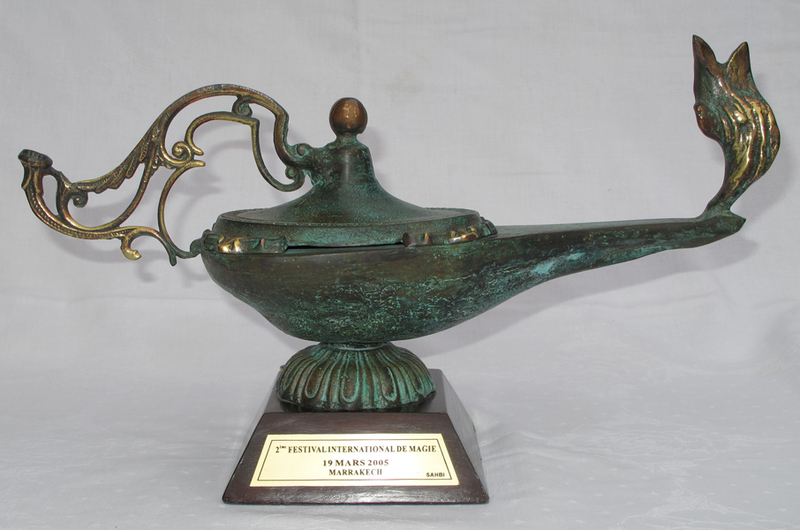 We are proud to have this lamp decorating the top of each page of our website. Omar Pasha performs magic on a very oriental way, in the traditional fakirs’ style or better said in the style of the Aladin’s tale of fantasy. He floats over the stage and even vanishes into thin air. Nothing remains but a single dust. The audience has been impressed by the act.